SoPo Cottage: Instrastructure Part 2 - Is That the Neighbors I Hear?? Instrastructure Part 2 - Is That the Neighbors I Hear?? Cold weather comes early in Maine (so does snow! 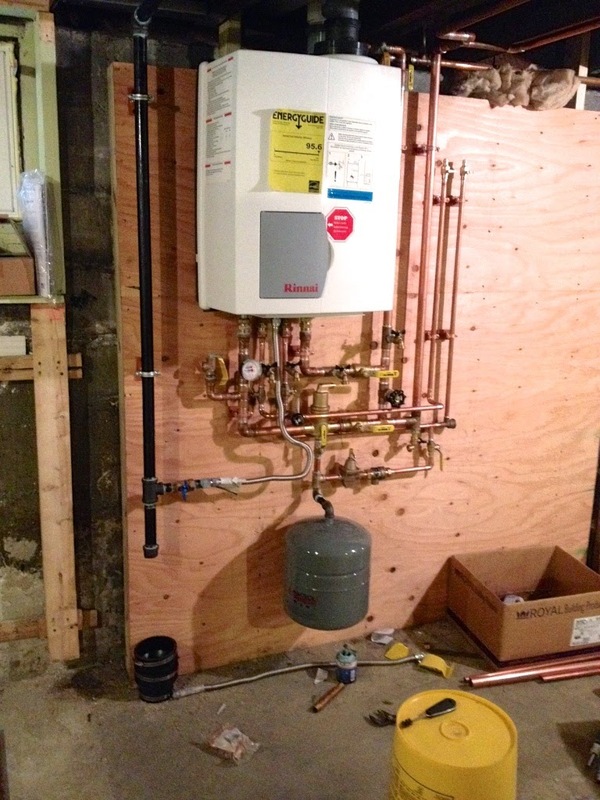 ), so it's time to get the boilers installed (reminder, a boiler is for hot water/steam, a furnace is forced hot air). The gas company ran new gas lines to the house and we're ready to do the conversion from oil to gas. 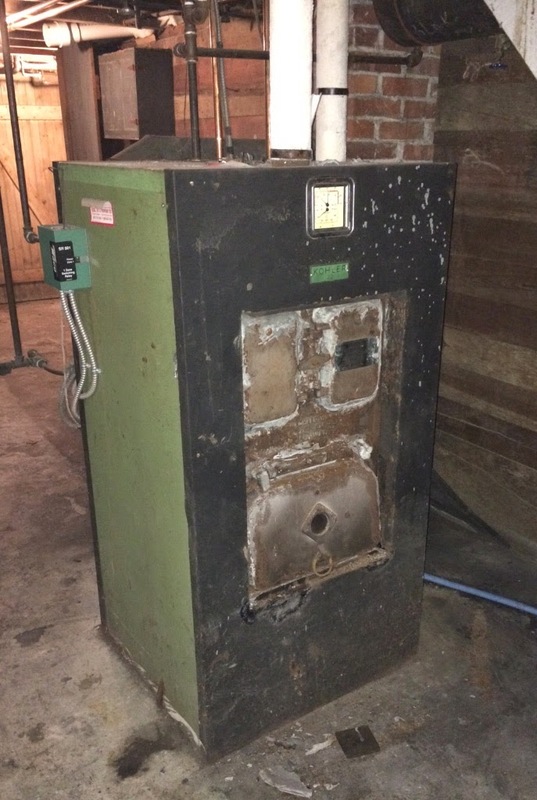 Do you remember the old boilers - and the asbestos challenge? 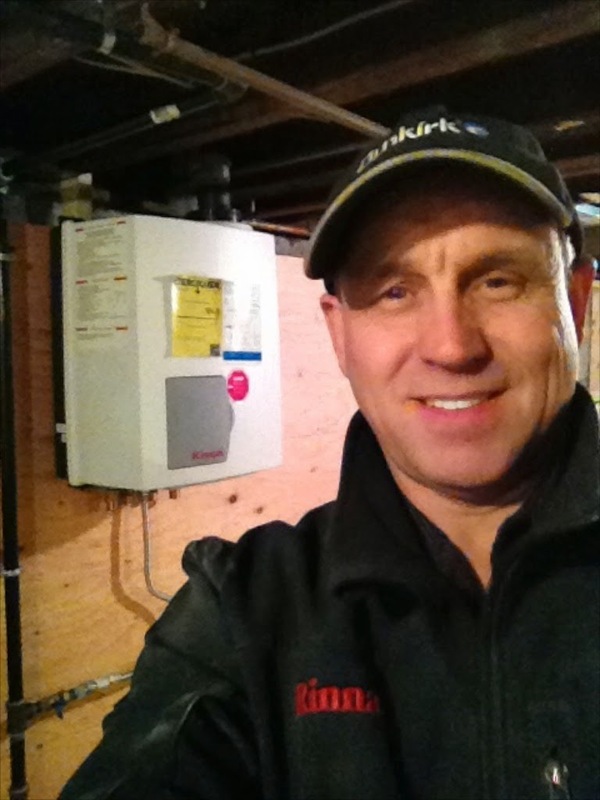 Well they are long gone and Dominic has installed a new, wall mounted Rinnai boiler in each unit. I just marvel at how small these are - about the size of a suitcase. And they're so quiet, sometimes I have to put my hand on the unit to see if it's running! It's a lot of work to install them - see all that copper piping? It's all new! But with gas as the fuel source and an efficiency rating of 95.6%, these will be much more affordable for the owners/tenants. The other key element of making this duplex energy efficient is to insulate it well. We had cellulose blown-in insulation installed in the attic and all new insulation installed in the knee walls. 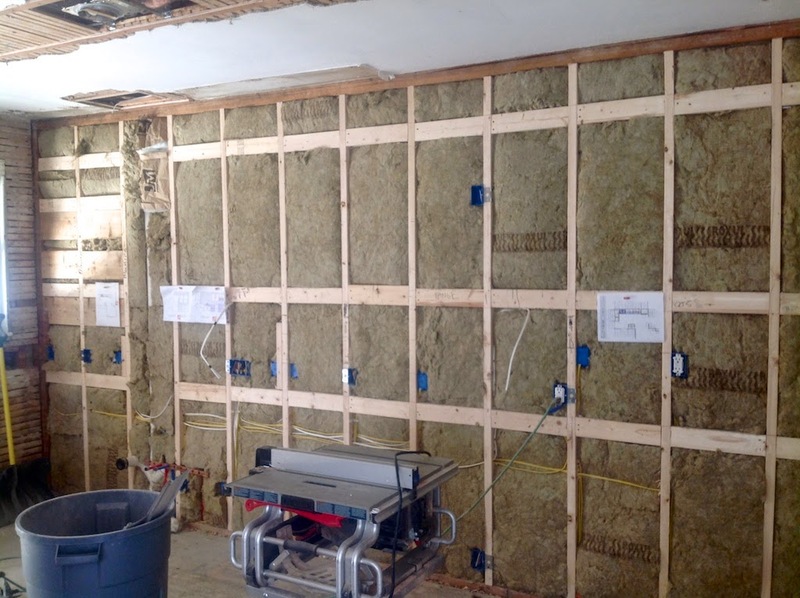 There was already blown in cellulose in the first floor exterior walls, so now the house should be nice and snug. The only other place that needed some attention was the basement. 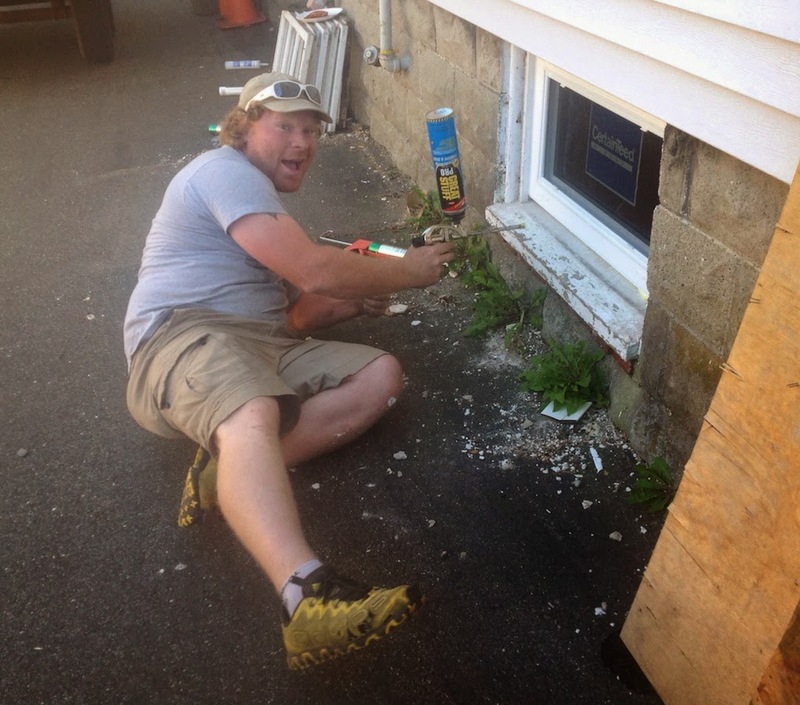 We had them insulate the sills and the guys pulled the original leaky windows out (all 8 of them - a pricey project!) and installed new energy efficient units. 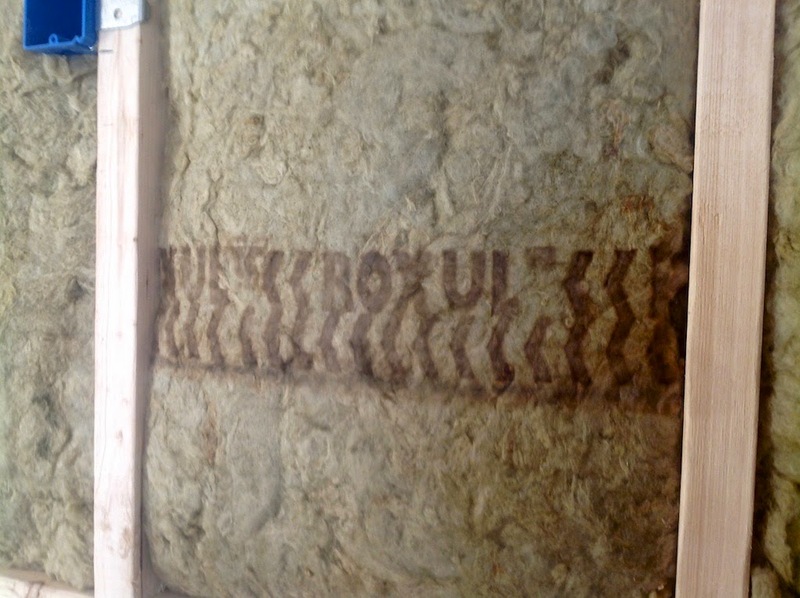 But I had another worry regarding insulation, that wasn't related to energy efficiency. How can we reduce noise between the two units? My first thought was to have the insulation guys blow in cellulose between the walls. But when I met with Bob Ward from Builders Installed Products, he was quick to point out that would only give us a 25% improvement in sound reduction. That's a lot of cost for only a little benefit. So we started looking for a different option. After some research, we discovered a couple of new products that we wanted to try. Roxul makes a new product that they call 'Safe and Sound'. 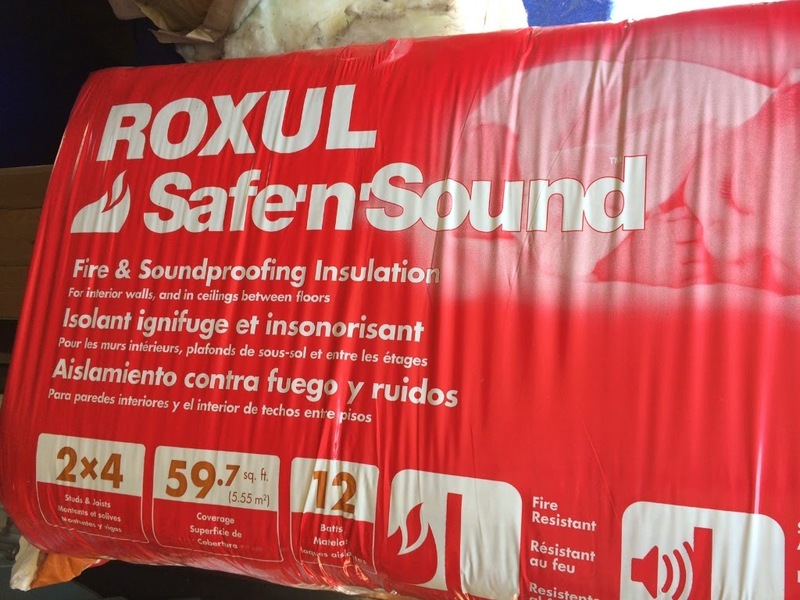 We've used regular Roxul before - it's a fantastic product around fireplace flues, because it's fireproof. And of course improving fire rating between the two units is important. 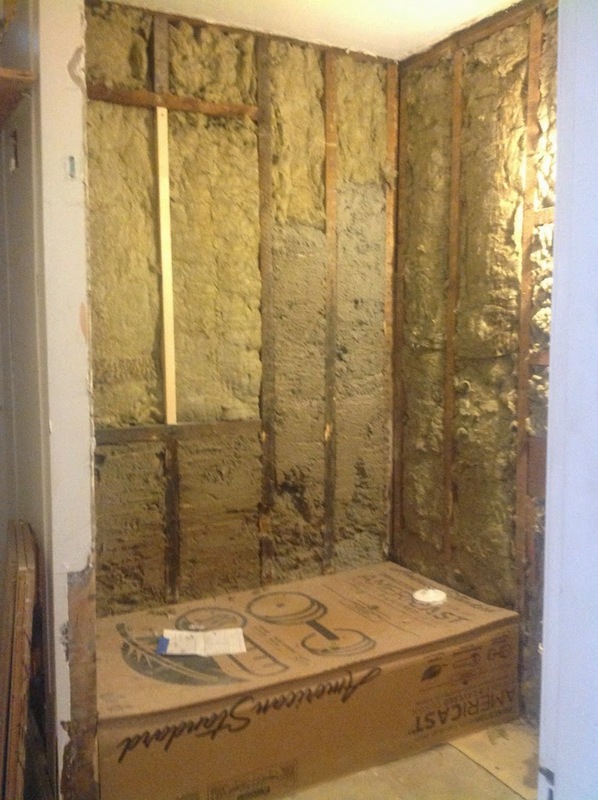 In fact, per building code, we need to use fire rated drywall on all party walls. But this new insulation serves a double purpose. And since all the kitchen and bathroom walls were opened up, it was easy to install in those spaces. Of course we were still curious how well it worked. But we put it to the test pretty quickly. 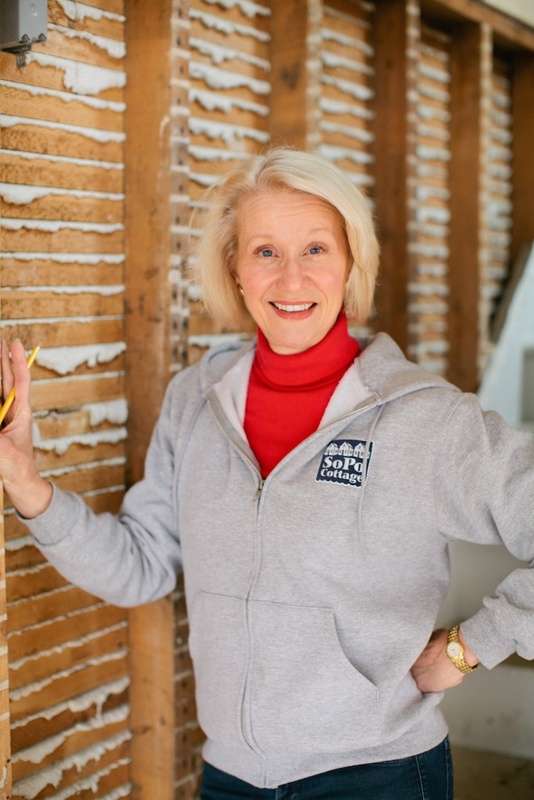 Mike Backman from Waterhouse builders had called me and we were trying to have a conversation while the drywall guys were installing the kitchen wall (think 3 guys simultaneously using power tools and how much noise that creates). It was so noisy, we couldn't hear one another. But when he went around to the other unit, you could barely hear them. And that was with drywall only partially installed on one side! Once everything is installed, it will be even better! We also installed Roxul on all the bathroom party walls. So now the tenants won't have to hear each other gargling before bedtime! But between the upstairs bedrooms, we weren't opening up the walls, so we had to come up with another solution. So we tried something different, called soundboard. It looks like compressed fibreboard. 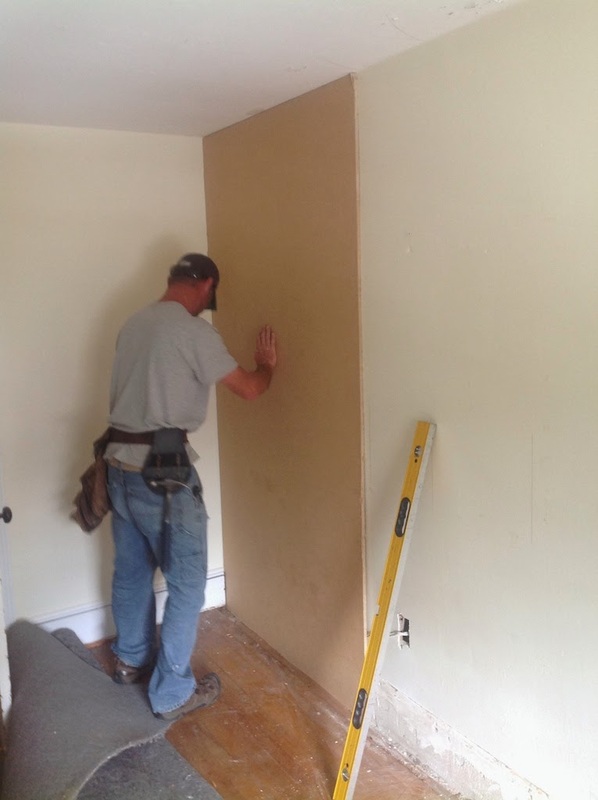 But by installing over the old plaster walls, it creates a sound barrier between the units. It's a good value, because we didn't need to demo the whole wall, and only need to replace the baseboard trim. And we will top it off with fire rated drywall. So now we're buttoned up on all the infrastructure. The drywall has started and soon it should start looking like a real house. Yay! Laurel, it's beyond impressive the lengths to which you go in home renovation. All the TVS shows depict the quick in/quick out, make the buck. You renovate as if you were going to live in the home yourself.